Online slots based on popular movies. 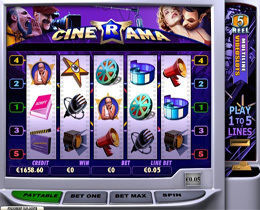 Play slots such as Hitman Slot, King Kong Slot, Cinerama Slot, Pink Panther Slot and Tomb Raider Slot featuring Angelina Jolie. 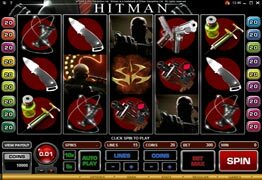 Hitman is a 5 Reel Microgaming Slot based on the popular movie Hitman. There is 3 different bonus games that you can get during your play on Hitman Slot. Choose your target and weapon and see if you can get the top prize in the Contract bonus feature, Choose an Insignia for more big bucks in the insignia bonus game which is triggered when 3 land on the 1st 3 reels, or get 3 targets anywhere on the screen and receive 18 free spins at 2x multiplier. Everybody knows King Kong - Who can forget the movie in the 1970's and then further releases every decade since King Kong first made his appearance on the big screen. 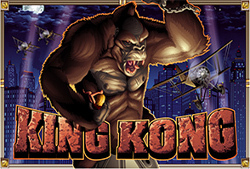 You can now play the newest release at cryptologic casinos - King Kong slot! There are many different bonus features in this online slot . The ‘King Kong Goes Ape’ Feature triggers all the symbols on reel 3 to become wild symbols, and 3 scatter symbols triggers the ‘King Kong Smash Feature’ where the player gets to choose planes for King Kong to knock out of the sky. Each plane that King Kong conquers gives you free spins or you can choose a mystery prize if you would prefer. Cinerama is a reality themed slot highlighting all the intrigue that goes on behind the scenes in film making With the lights, camera and action being the tag line, players will be drawn into all the action that goes with the amazing world of acting and filming. Icons include all movie related items such as Film Scripts, Film Reels, Headphones, Directors Megaphone and Awards. 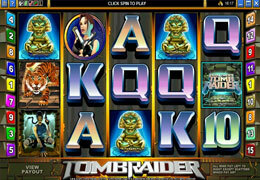 The video slot of Tomb Raider from MicroGaming is one of the few slot games that have successfully migrated to a movie and of course Angela Jolie in skin tight shorts would certainly have a big influence. Players who were a fan of the movie will notice that many of the icons featured in the movie have found their way into the video game and no one is complaining. The betting starts at $0.05 going up to $1.00 per line with 5 reels and 15 pay lines so the spread will suit all players from the cautious to the adventurous. There is a jackpot worth 7500 coions and the game does include wilds and scatters as well as multipliers. The Tomb Raider symbol is the Wild and it can substitute for all other symbols giving you increased potential for a good win. The Scatter symbol is represented by Lara and she features in this game as a multiplier. This means that a winning line is multiplied by the total number of Scatters on any of the reels. 10 Free spins are awarded when you trigger at least 3 Scatters and wins on a free spin get tripled. Playtech have produced this 5 reel 40 pay line slot with a host of features and different bonus games. Of course Inspector Clouseau is there together with the Pink Panther, and other icons include a Paint Can and a Bomb plus the usual card values. A range of bets are available and are suitable for both the high rollers as well as the more moderate players. The Pink Panther is wild and substitutes for all other symbols except for the Pink Panther logo symbol, which is the scatter. 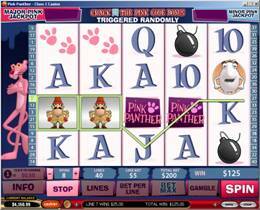 A 5000 coin jackpot is triggered when you hit 5 Pink Panther symbols on a pay line and you can win a multiplier of up to x 125 your total bet if you have two or more Pink Panther logos anywhere on the reels. The Pink Panther slot has many winning combinations including 5 different bonus rounds and provides plenty of opportunities to win big. This is a great game! 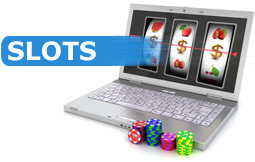 All British Casino has a Huge selection of Online Slots from many different Slot Providers.